Comparison of Moving Blankets, sound blankets Acoustic blankets and Absorption sheets to use for sound absorption in a recording studio. Compare weight, size, make, price range and absorption quality of acoustic blankets. Includes acoustic test graphs. 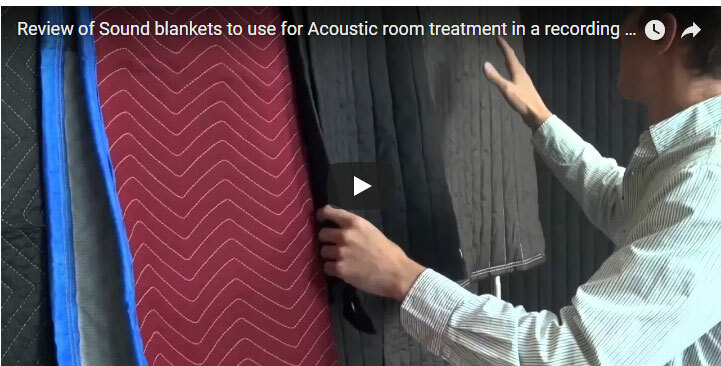 This entry was posted in Producer's Choice Acoustic Blankets, Videos and tagged Acoustic blankets, acoustic room treatment, audimute absorption sheets, audio recording, Best soundblanket, blankets for soundproofing, effective acoustic blanket., Producerâs choice sound blankets, recording studio, sound absorption, soundproofing, What is the best blanket for sound absorption.